From May 25 to May 27, 2018, World Youth Alliance Austria collaborated with WYA Lebanon, SSMH, AMJE and WYA Europe to hold an event in Vienna on European Youth Strategy. The offical title was Why YOUth – European Youth 4 EU Youth Strategy and over 50 young people from 6 different countries participated in the 3 day conference. Sponsored by Erasmus Plus, the event gathered young World Youth Alliance members as well as members of youth councils and working groups for new national youth programs to debate on European Youth Strategy together. 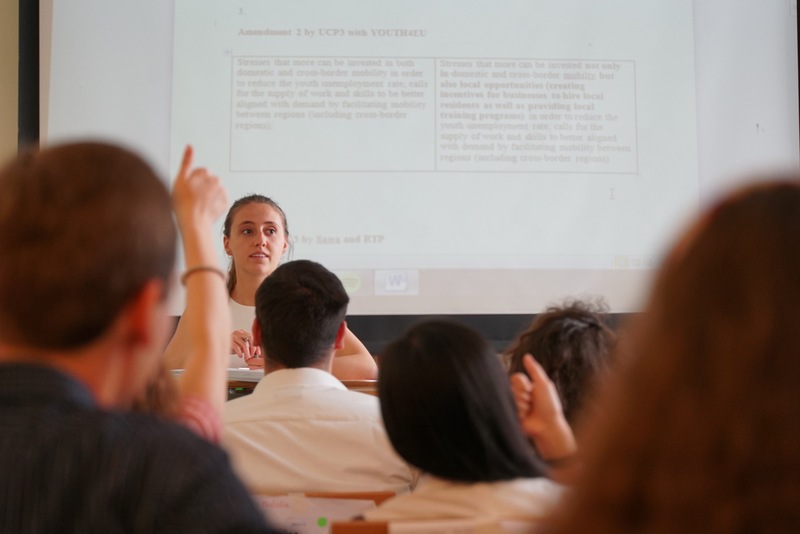 Throughout the three days, the participants met with decision makers and worked together in a simulation of the European parliament on a policy paper that is now supporting the working groups of the 6th Cycle of Structured Dialogue in Europe. This was WYA Austria’s first big international event in several years and will mark the beginning of a strong presence of World Youth Allaince members in the country. The next international event – a Media and Advocacy Training – and the start of a Certified Training Program Course are scheduled for September.